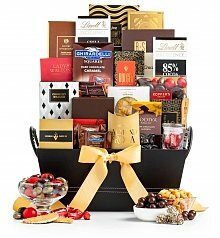 Need a gift basket in Cleveland tomorrow? 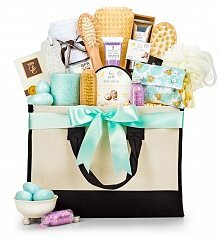 Order by 2pm EST! 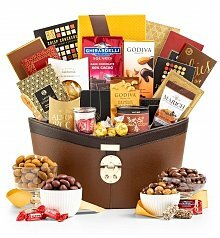 Since the 1920s, Sweetest Day has been a Midwest tradition, taking place every third Saturday in October. 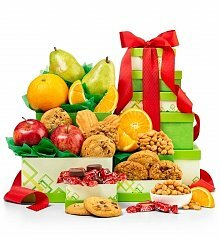 Originally, the holiday was created by a candy maker in Cleveland, Ohio – not because he wanted to sell candy, but because he wanted to give it away as a gesture of kindness to the poor, the needy and the orphaned children in the city of Cleveland. 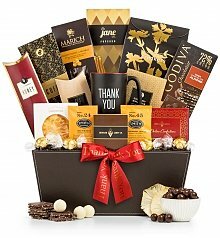 Sweetest Day's original name was "The Sweetest Day of the Year", because its intention was to offer everyone an opportunity to remember those less fortunate than oneself and do something sweet. 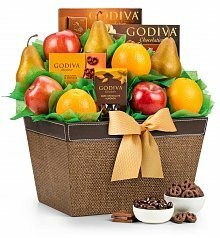 Today, people have gifts and gift baskets delivered to Cleveland and all over the US on Sweetest Day, to show friends and loved ones that they're thought about, appreciated and cared for. 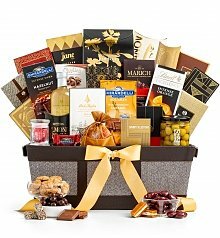 On this year's Sweetest Day, deliver a gift basket to Cleveland that shows someone that you're thankful for their kindness. 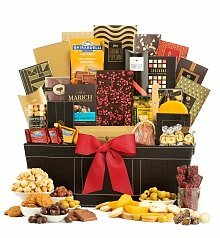 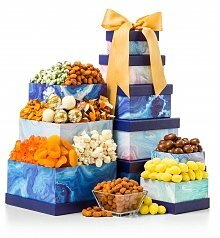 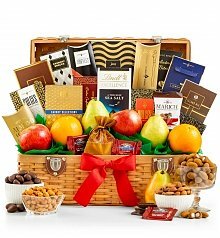 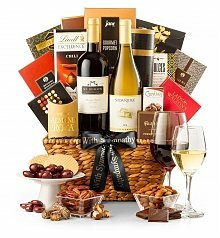 Explore our collection of gift baskets filled to the brim with gourmet chocolate, artisan cheeses, savory snacks, sparkling champagnes and luxury wine. 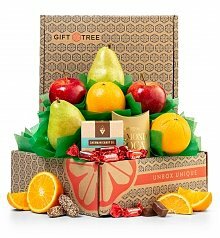 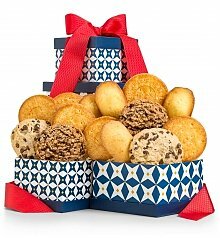 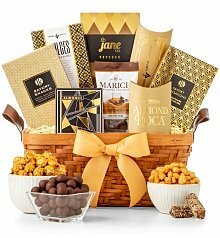 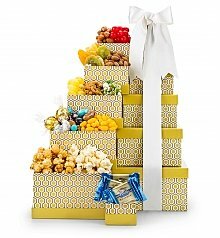 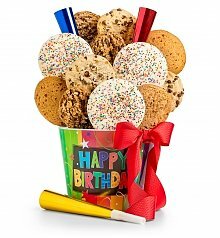 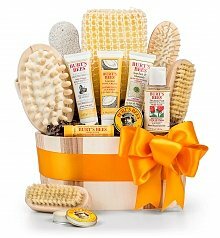 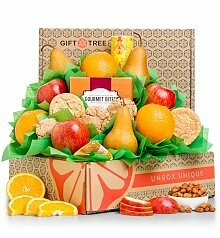 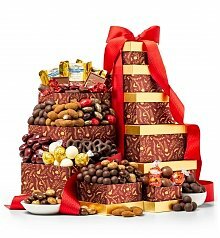 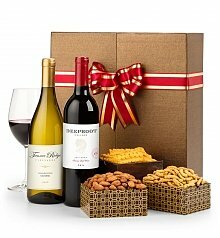 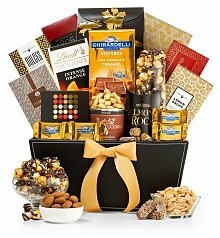 Delivered in exclusive keepsake baskets, many of our gifts offer personalization, too! 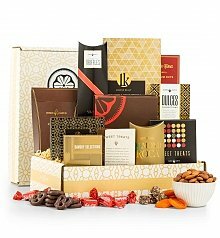 We're sure you'll find a perfect gift that symbolizes just how much they mean to you.